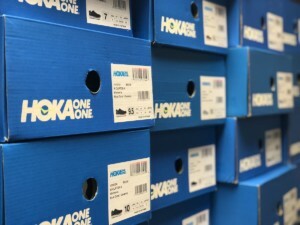 HOKA ONE ONE, like every other shoe manufacturer, boasts a number of different technologies. 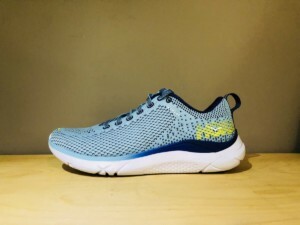 HOKA shoes have one, very recognizable feature: a very large amount of cushioning underfoot. They also shape their midsoles to mimic a rocker, so that the shoe helps drive you forward. When standing on HOKA’s, the midsole isn’t just underfoot. It’s also around the sides of the foot. HOKA’s midsoles are underneath the foot, but also rise up and wrap around the sides of the foot. The midsole is the part of the shoe that supports the foot. It absorbs and returns energy. More midsole, in more places, could mean that it supports more of the foot and absorbs and returns more energy. What does all of that mean for your foot? You’d have to wear it to find out. 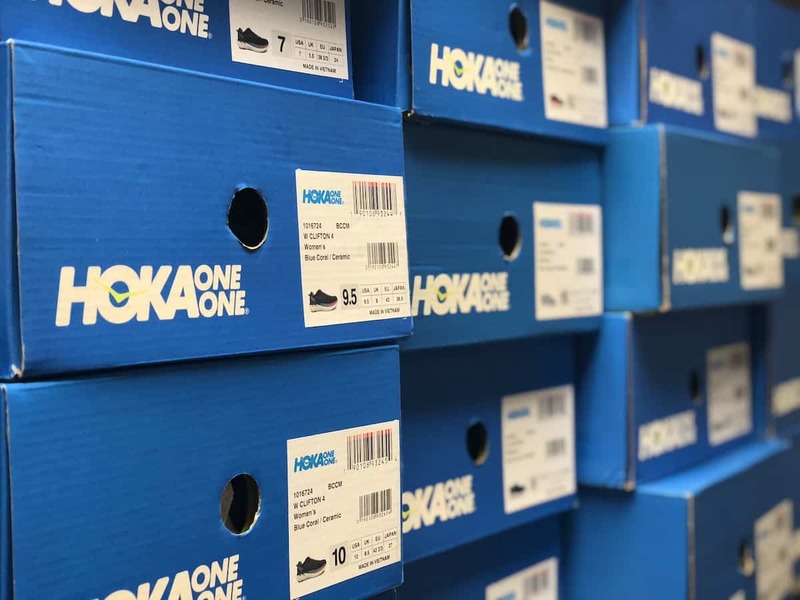 We carry more HOKA’s than any store in Philadelphia. Many of HOKA’s consumers come here to try on shoes. We’ve seen how some people adore the way that they feel! We’ve also seen people try them on but buy something else. In all other technical running shoes, the midsole is just underfoot; it doesn’t wrap around the sides of the foot. The upper is the only part of the shoe that touches the sides of the foot. That doesn’t mean that other shoes are no good. To be sure, other manufacturers have their own proprietary technologies. Some of them use foams to create different kinds of under-foot support. Others use different techniques to construct their uppers, so that the uppers do different things to the foot: support it, secure it, stretch around it, etc. HOKA was founded by two French shoe designers who are also trail runners. They wanted a shoe that would allow them to run downhill with less braking, so that they could run downhill faster. The name of the company is pronounced HO-ca O-nay O-nay. ← Why do arch supports hurt my feet?